← Mobile Food Truck delivers fresh produce to over 400! Help JSL Feed-a-Family this holiday season through our Donation Matching! Fall is upon us and Thanksgiving is just around the corner! Like no other time of the year, the months of November and December strike a sentiment of gratitude and a spirit of giving in us all. Please join in with Huntsville Junior Service League to help feed the families of Head Start. We are accepting donations to purchase canned goods and non-perishable foods that will be distributed to the children who attend the local Head Start and need a little extra help. The league will match each dollar donated up to $500! 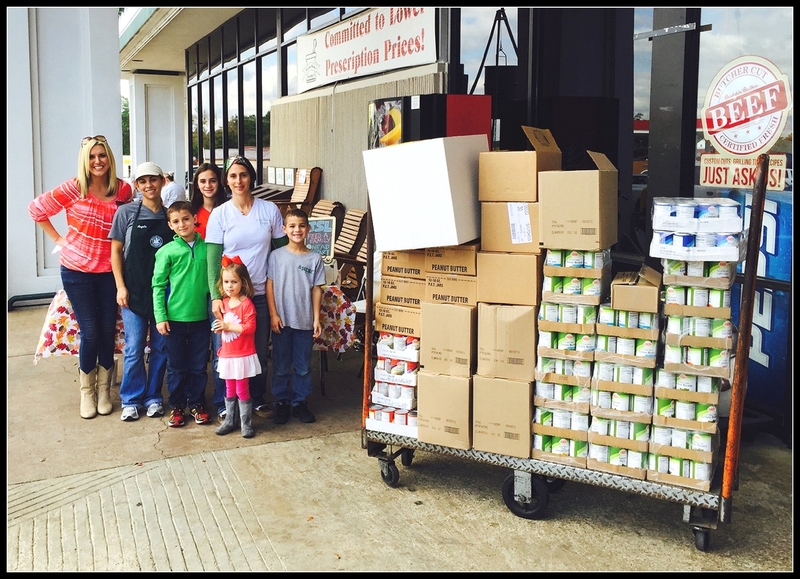 Last year, we were able to purchase and deliver this huge pallet of food to Head Start where it was divided and distributed to the families most in need. It was the equivalent of over 120 bags of food! With your help, we can do it again…maybe even more!! You may give your donation to any JSL member or mail to P.O. Box 7185, Huntsville, TX 77342. We hope to raise $500 or more so that the league can match the $500 donation and feed more families! !